Unfortunately, Hollywood Gothique has been criminally slow about updating its listings for Halloween 2013; fortunately, we are just about caught up. 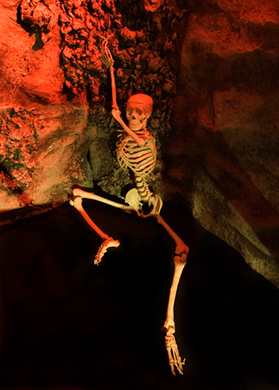 However, if you have been breathlessly awaiting an announcement regarding a particular Halloween attraction in Los Angeles, it may be time to give up and resume respiration. 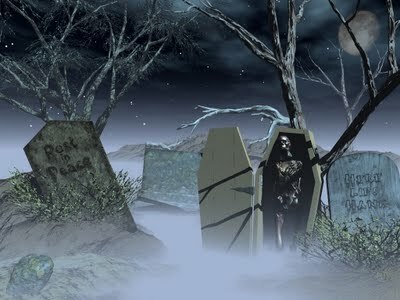 Several events from years past have shuffled off their mortal coil and wandered into the Graveyard of Lost Halloween Haunts, to be interred there forevermore. Some of these demises are more heart-rending than others. You expect a few old souls to finally give up the ghost every season, but surprisingly, a couple of this year's newly dead are events that made their debut in Halloween 2012. Forthwith is our list of Halloween haunts you should cross off your schedule, followed by a handful of haunts on hiatus for Halloween 2013. Note: We have eliminated the "In Limbo" designation that originally appeared in this article, since the status of those haunts has been confirmed through new information: Dark Realm - An American Haunt is gone forever; The Haunting in Anaheim promises to return i 2014. This Los Angeles Halloween event made its debut in 2012, offering a post-apocalyptic prison where the inmates were "dying to get out." Staged in an abandoned Sears building in Hollywood, Hell Break L.A. consisted of two attractions: the haunted prison and a haunted maze. The former was an interactive theatrical experience; the latter was a literal maze, from which you had to find your way out. The prison maze was quite well done, though a bit shaky on opening night (as you can read in our Hell Break 2012 review). Unfortunately, the event was plagued by organizational problems, including last-minute cancellations, which left ticket-holding customers arriving on sight with no advance notice that the doors would be closed. After the Halloween 2012 season ended, Hell Break L.A. quietly folded up shop, eventually closing down its website and Facebook page nearly a year later. This haunted attraction, which incorporated elements of the defunct Molar Manor, made its debut in the Santa Monica Place Mall for Halloween 2012. The result was a bit disappointing, so it is not completely unexpected that haunt would quietly dematerializ into the eternal ether (the website is still up, but has not bee updated since 2012). 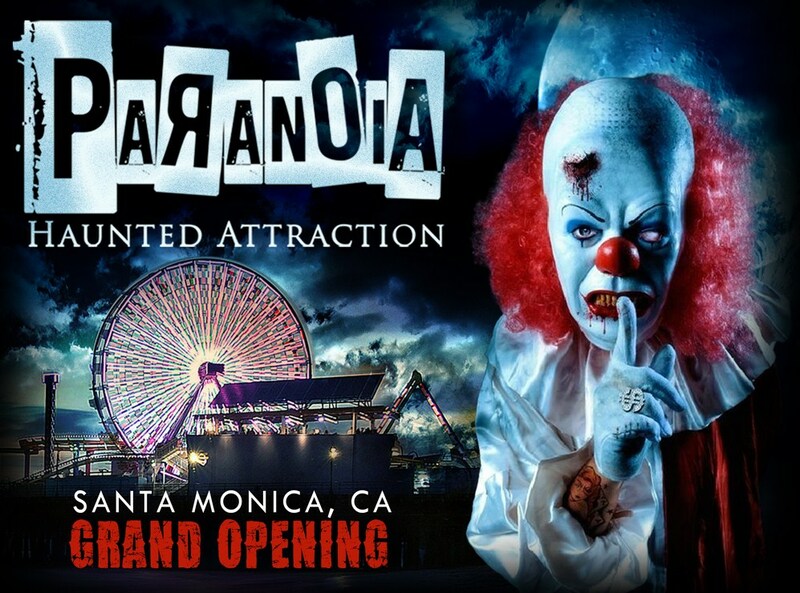 The Paranoia Haunted Attraction consisted of three mazes. The first two were rather rudimentary, exhibiting that "haunt in the box" feel you get when someone sets up in an available retail location. The third maze was more interesting, because it incorporated props and mechanical effects from the defunct Molar Manor Haunted Attraction, which used to operate up in Canyon Country. Read our review of the 2012 haunt here. Despite our disappointment, we were slightly surprised that Paranoia last only one year: the location was great, drawing large crowds of foot-traffic from the nearby Third Street Promenade. With the built-in curbside appeal, we thought that Paranoia might make a go of it, and hopefully improve during its sophomore session. This event in San Pedro has actually been slowly fading away for awhile. Located near the southern end of Los Angeles, the Beacon House Association (a support group for recovering alcoholics) produced a Halloween block party for over twenty years, providing a safe way for the community to celebrate the season. 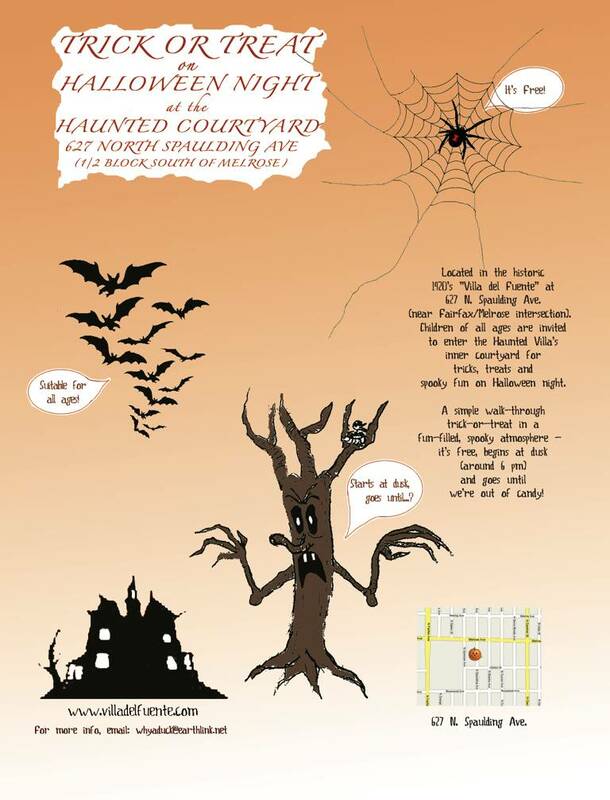 The Beacon House's annual Halloween event typically offered a "Nightmare on Beacon Street," including a haunted maze, a street fair, dancing, contests, food, and other entertainment suitable for the whole family. Unfortunately, we never made it out to see this event: by the time we got down to enjoy Halloween in San Pedro in 2010, Beacon House had scaled back to offering a "Halloween Party," with dancing, contests, face-painting, and Kareoke. Since then, the event has been discontinued. Update: We finally received confirmation that this one is gone for good. 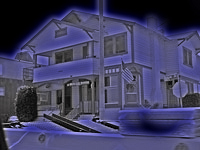 When we visited this amateur haunt in Brea, in Halloween 2012, the proprietors informed us they were planning to self off their props because they were moving to a new home that would not accommodate a haunted house. Attempts to contact them and confirm have not been answered. More of a "home haunt" than a "yard haunt," Dark Realms was not a decorated yard but a walk-through maze, with numerous scenes and actors, eager to have you for dinner. 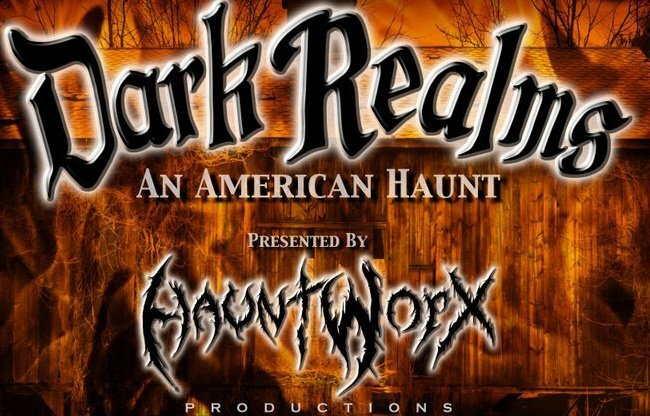 Though located in a private home, Dark Realms: An American Haunt charged for admission - raising money to benefit the Children's Hospital of Orange County. In 2012, the 1920s-era Villa Del Fuente building invited children of all ages to enter the Haunted Villa's inner courtyard for Halloween fun. Located in the Fairfax district of Los Angeles, a couple blocks from the intersection of Fairfax and Melrose, this amateur Halloween event offered a simple walk-through trick-or-treat experience with spooky atmosphere and candy, from dusk until the candy ran out. Sadly, the proprietor of The Haunted Courtyard informs that the event is now as "dead as the ghouls" roaming on Halloween Night. Out of the Box Events, the company that conducted the Haunted Hollywood Scavenger Hunt and the Haunts of Angelino Heights Tour, seems to have gone out of business: their website is down, and email inquiries bounce back. For six years, Out of the Box Events offered Los Angeles Halloween fans an opportunity to enjoy their scavenger hunts, which promised an unusual and interactive way to tour Hollywood, with groups of up to six people scouring the streets of to uncover ghoulish ghosts, terrifying tales and scandalous secrets in such venues as the Roosevelt, The Knickerbocker, and several old theatres. No prior ghost hunting experience was required, but a flashlight was recommended. Out of the Box Events and the Los Angeles Conservancy also offered Haunts of Angelino Heights, a fright-filled Halloween historical tour through one of the city's oldest Victorian neighborhoods. Hours were 4:00pm to 6:30pm. Guiests were advised to bring one digital camera and one flashlight per team, which consisted of up to 6 members. Tickets were $30. 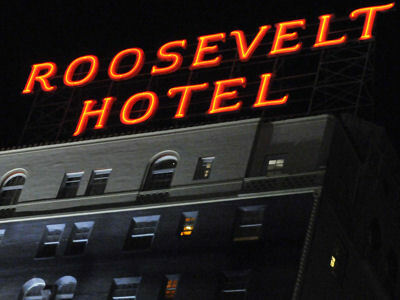 Note: There is still a Haunted Hollywood Scavenger Hunt in Los Angeles, provided by Watson Adventures. 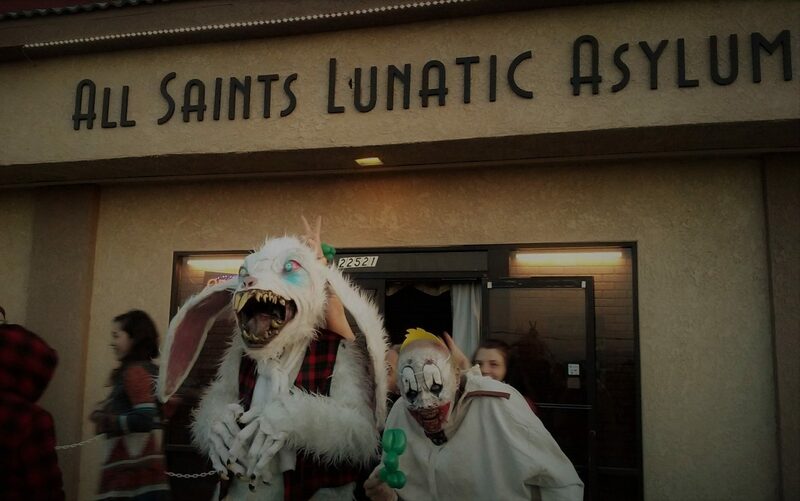 A local attraction on Chandler Boulevard in Burbank, this gruesomely good yard haunt has had a spotty record for the past ten years: it was out of operation from 2007 through 2009, then resurrected briefly in 2010; it disappeared again in 2011 and remained closed for 2012. We don't expect it to return. During its heyday, Nightmare Junction offered a decorated yard (lots of dismembered bodies) and walk-through maze, simulating a torture chamber. The grounds were patrolled by a hooded executioner, who pulled a cord to drop the guillotine on a dummy victim. Entering the main gate led into a short, temporary maze structure, with a couple of gory scenes inside. This amateur yard haunt in West Covina seems to have floated off into the ether, never to be heard from again. 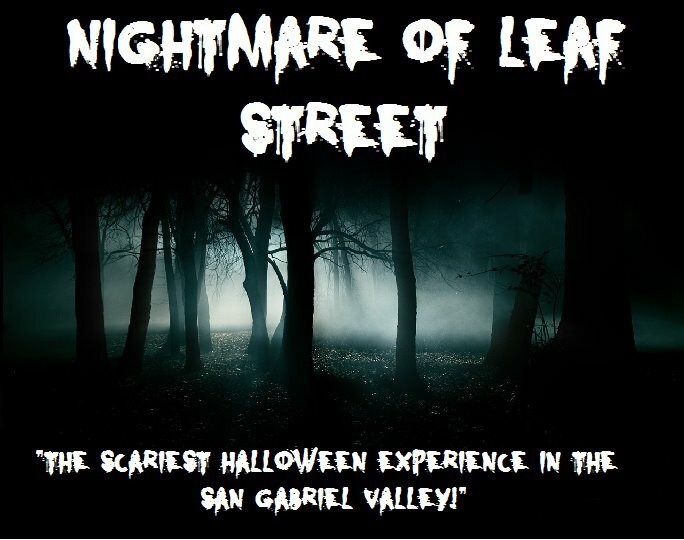 Nightmare on Leaf Street made its debut in 2010, with a walk-through maze featuring scares inspired by the Freddy Kruger films, along with Jason Voorhees, Michael Myers, and other icons of fright - all in 3-D. The proprietors claimed to be in it for the long haul ("We plan to do House Haunts till we're old"); however, after attempting to go pro, offering to haunt your house or party for a price, they fell off the radar. Their Facebook page has not been updated since 2012, and their email is dead. The following haunts are sitting out Halloween 2013. An amateur yard haunt in Woodland Hills, Fallen Angel Cemetery is going dark for Halloween 2013, so that the proprietor can visit other yard haunts, but it will return next year. Fallen Angel Cemetery takes a classic approach to Halloween - spooky, not gory - with lots of candy and fun for the kids. It consists of a decorated front yard with light and sound effects to create the impression of lightening, thunder, wind, and rain. We heard about this 2012 debut too late in the Halloween season to do anything about it, and the proprietor informs us that the haunt will not return for Halloween 2013, though he does intend to resurrect it in 2014. It sounded quite unique, more like an art installation than a walk-through maze: the concept is that visitors wander an "abandoned field" (actually a back yard), observing the secret village of the tiny Punkin People; each little building conveys a fragment of the story, which unfolds in a non-linear way, since visitors may look at buildings in whatever order they wish. The official website and Facebook page are not exactly fonts of information, but if you want to know more about what you missed you can check out the 2012 Kickstarter campaign, which lays out the plan in some detail. A Long Beach home haunt, The Haunted Garage used to present a different theme each Halloween, was out of operation in 2010 and 2011. The proprietor resurrected the the haunt in 2012; unfortunately, a busy work schedule prevents a Halloween 2013 presentation. It may return in 2014. Updated: When we originally posted this article, we were unable to confirm whether this amateur effort would return for Halloween 2013, but since then The Haunting in Anaheim's website has announced that the yard haunt would sit out this year and return in 2014. This is not the first time something like this has happened: The Haunt, which features a free walk-through maze, was cancelled at the last minute in 2011, then came back for its 15th anniversary in 2012. After making its debut in 2012, this amateur effort in Encino is going on hiatus for Halloween 2013, due to unavoidable circumstances. The proprietor (whose Imagineerie company provides effects for professional Halloween theme park attractions) provided a handful of amusing props and effects when we visited last October: a witch's lair, a toxic dump, etc. The plan was to start small and gradually grow over the years until eventually rivaling larger haunts in quality. Update: the proprietor announced on October 21, 2013 that construction had begun on Spydrhill's "final Halloween Haunt in Torrance." 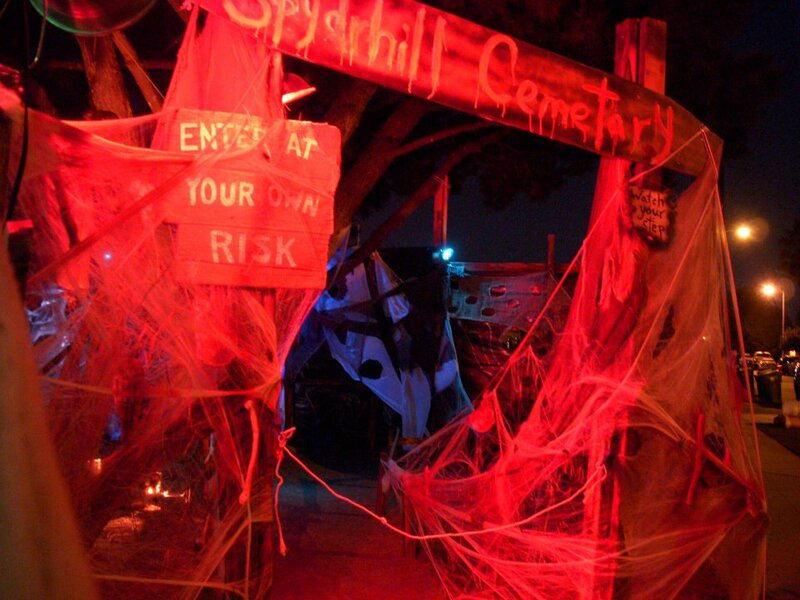 An amateur Halloween haunt in Torrance, Spydrhill Cemetary was scaled back in 2012, due to lack of funds; the proprietor set up a Kickstarter account but was unable to meet his goal. Whether it will return in 2013 has yet to be decided. 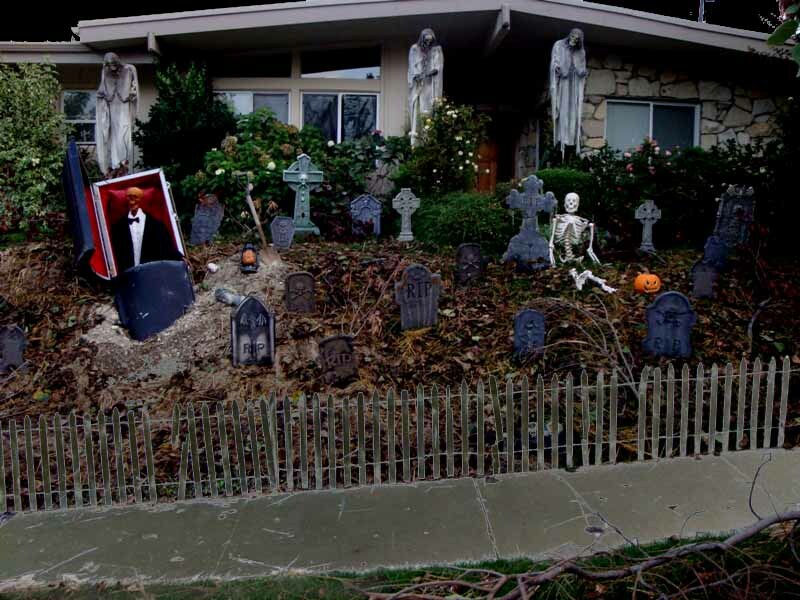 Too bad: We hear that Spydrhill had been haunting its Torrance neighborhood for ten years, with three fright-filled rooms: Cobweb Alley, Clowns of Chaos, and Spydrhill Cemetary. Guests who dared to enter would find themselves in a once-beautiful town now overrun by arachnids. Admission was free, but donations were accepted to offset cost. The photographs look impressive. Now we may never get a chance to see for ourselves. The 68 Cent Crew has moved into a new, temporary venue (the NoHo Arts Center), where they will not be able to present their annual Halloween event, which has been one of our favorites since we discovered it several years ago. 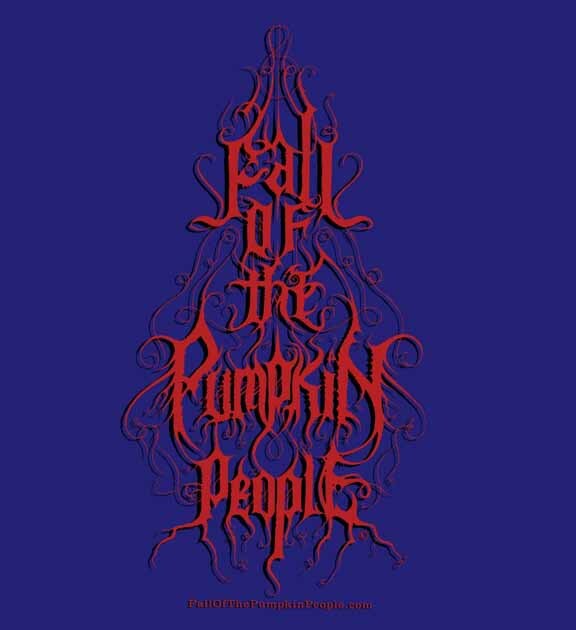 Fortunately, they will still be celebrating the season - by putting on horror-comedy play entitled The Afflicted (a rewrite of They're Not Zombies, which debuted at a local Hollywood theatre back in 2006). The 68 Cent Crew is looking to find a new, permanent home for next year, where hopefully they will be able to resurrect their haunted house. It would be a shame for this event to pass away. The Theatre 68 Haunted House was a true ground-breaker, using innovative strategies that are becoming commonplace today, such as hiring real actors who interact with the visitors, and staging short vignettes that are timed for to impact each person individually. 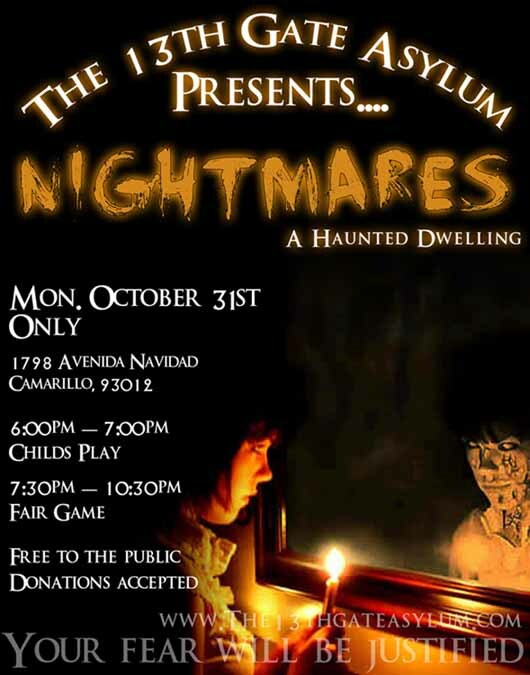 This free Camarillo haunt went on hiatus in 2012 off, with a promise to return in 2013; however, their website has not been updated since then, and our email queries have not been answered. In the past, The 13th Gate Asylum was typically open only on Halloween Night, offering kid-friendly haunting until 7pm and and stronger scares thereafter. There was cast of 30 members, haunting a walk-through maze that was reconfigured and re-themed every year. Find more defunct haunts here. Or check this page to find Los Angeles Halloween Haunts still in operation.